We are dedicated to families wishing to learn and navigate the GAPS Protocol. GAPS Australia is a resource platform for GAPS related information, products, support networks and services. Here you will find a wealth of knowledge and information to assist you on your GAPS journey, including ways to incorporate the diet for fussy eaters. The GAPS online shop will provide you with extensive GAPS supplies delivered to your door and you will have the opportunity to meet other GAPS minded people on our GAPS Australasian Support Forum. Further support includes GAPS staple recipes and a collection of multimedia learning videos for you to view. A free subscription to the GAPS Nutrition News also provides a bonus free E-Book to get you started. To inspire healthier communities and create awareness of the GAPS Nutrition Protocol and provide support and services from our caring team to people wishing to restore digestive health through nutrition and healthy living. To transform communities by inspiring people to open their minds to alternative healing through nutrition, make a change to their lifestyle and begin a healing journey that improves quality of life and sustains good health and fruitful living. Linda Paterson is the founder of ‘GAPS Diet Australia’ and the ‘GAPS Clinic’ and dedicates much of her time in helping other families to learn about the GAPS Nutrition Protocol developed by Dr Natasha Campbell-McBride. The GAPS Clinic emerged from Linda’s personal experience in effectively treating her own son diagnosed with autism with the Gut and Psychology Syndrome Protocol. It was through this experience that Linda identified with the limited amount of support, direction or guidance available to people seeking this information and treatment option. Linda understands the challenges associated with implementing the GAPS Nutrition Protocol for children with specific needs because she has experienced this first hand. As the first Certified GAPS Practitioner in Australia, Linda pioneered the first GAPS Clinic within Australia in 2008 where she has committed to helping individuals and families with digestive and autoimmune disorders to understand and navigate the GAPS protocol effectively. Linda holds a Bachelor of Health Science with honors in the field of Developmental Disabilities & writing programs for people with specific needs. Her studies in health and nutrition, coupled with her GAPS clinical experience in treating GAPS disorders have allowed her to deliver specialised GAPS intervention programs as a GAPS nutrition expert. Prior to this, Linda has also enjoyed working in both government and non-government health service organisations in the disability and mental health field for over 16 years providing a cross reference of experience associated with a broad variety of mental health issues and developmental disorders. Linda has worked closely with Dr Natasha Campbell-McBride in the preparation and delivery of the Certified GAPS Practitioner Training Courses for Australia and New Zealand since 2012 and has since become an honorary member of her GAPS Advisory Committee in the writing of course modules and delivery of the new global online Advanced Certified GAPS Practitioner Training Program and Certified GAPS Advisory Course. Linda is an active member of the Weston A Price Foundation and is dedicated to restoring nutrient dense foods to the Australian diet through educating the GAPS protocol. Linda’s referral pathways have extended from other biomedical Doctors where she continues to run her ‘GAPS Clinic’ for parents, adults and families with a variety of GAPS related health issues and conditions. Linda also works closely with other Certified GAPS Practitioners on a coaching and referral capacity within her GAPS Clinic and abroad. The GAPS Diet Australia website is an extension of the GAPS Clinic where supportive information is provided free to all who wish to learn more about GAPS and explore the protocol and important components of the program. Through this site, Linda has created support pathways across Australia and beyond to support families following the GAPS Protocol. With over ten years of clinical experience, Linda has compiled and developed a comprehensive GAPS Learning Program titled GAPS101. This is a valuable online learning resource for both families and professionals wishing to learn how to navigate the GAPS protocol independently. It provides all the steps required for each diet strategy as well as useful tools and templates to assist individuals to follow diet plans and record their progress. The rich source of knowledge and extensive list of resources offered in this learning program are targeted to aid the GAPS family to feel confident in the preparation and implementation of their own GAPS journey. Many of our Certified GAPS Practitioners have also pilot the use of these tools and subscribed to this learning resource for the supportive use of the value-added tools within their own clinic. With a keen interest in the microbiome, Linda has studied and researched the gut biome and it’s symbiotic relationship with the GAPS Diet and probiotic foods. This passion and focus has lead Linda to work with an advisory team of scientists, regulatory compliance officers and nutritionists as well as Dr Natasha Campbell McBride herself to analyse and create a functional probiotic formula targeted for people following the GAPS protocol. Linda was very excited to launch her first GAPS Retreat with her professional GAPS team in 2018. She was driven to provide an atmosphere where individuals can be consulted by Certified GAPS Practitioners, employ detoxification strategies, attend GAPS education classes, indulge in GAPS nourishing cuisine and surround themselves with likeminded people. The goal of this program is not only to advise and equip individuals with their own GAPS journey but to also be pampered and spiritually nourished at the same time. This is facilitated by yoga and meditation classes, long nature walks, kinesiology life balancing and therapeutic massage. Therefore, leaving the person both mentally and spiritually empowered to implement the program whilst feeling nourished and well. 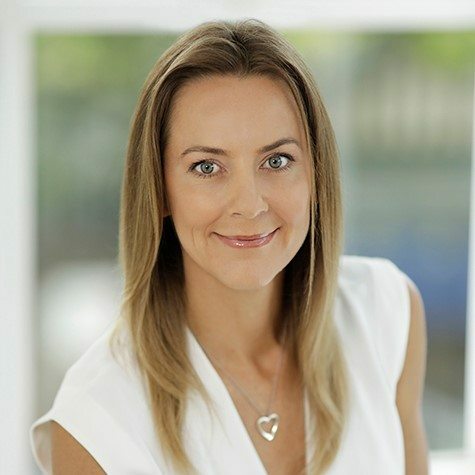 Linda is the sole founder of GAPS Diet Australia. She is a proud single mother of two who have played pinnacle roles in the shaping of her work and heart to establish the ability to share and impact the GAPS community in a passionate and supportive way. OUR MANTRA: People are a company’s most important asset. This is true for the people who work within and for the company as well as the people they serve. Integrity is everything, the rest will follow! Integrity is one of the core values we strongly value in our employees at GAPS Diet Australia. It’s also a core element to the effective functioning of our business operations. Our employees have been carefully recruited on this basis that their values are consistent with our own and we have good faith that our staff will act with integrity to ensure that every decision made is based thoroughly on ethical and moral principles specific to our company mission and vision statement and motivating team mantra. Trust, reliability, and honesty are key elements to our company concept of integrity and ethical standards. We aspire to create working conditions that foster opportunity and growth for employees and encourage employees to be recognized and valued for their inspiring ideas and contributions to the daily functions of the business and continuous quality improvement outcomes. We also strive to employ the same level of integrity when liaising and maintaining relationships with customers, stakeholders and suppliers. To do the best job we can and maintain a positive working environment, we have to align our skills and team approach with what we value. We value the relationships we have created and are protective of that trust. With values such as trust, honesty and hard work, we can become more than just our skills alone. By having these values, it is our full intention to build a reputation that precedes us into the community to which we support. By focusing on these values, we aim to attract quality people who trust in both our services and proud employees. Only through such a culture of gratitude for our people and integrity that we trust can we maximise the creativity and value of what we do and who we are. LET US HELP YOU TAKE YOUR FIRST STEPS TOWARDS A HEALTHIER YOU!